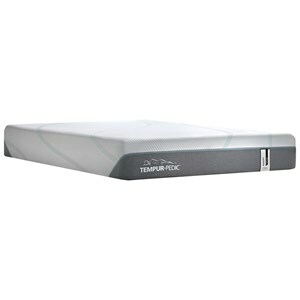 Plush, lavish nights of sleep will be yours with this succulent ultra plush tight top mattress. Stunningly unique, this one of a kind hybrid of half foam and half spring, this mattress will support you majestically. 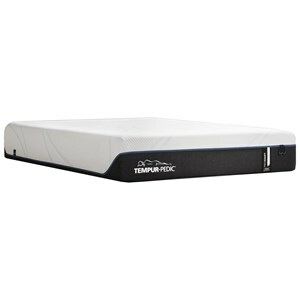 Four different comfort layers of OptiCool Gel Memory Foam with CoreSupport Center, OptiPro Memory Foam, Supersoft ActiveFlex, and Gel Memory Foam, this mattress is one of the most plush mattress you have ever slept upon or ever will. The Apex HS Encased Coils supplies the support that makes it feel as though you are sleeping on a cloud, as each one is individually wrapped to minimize motion transfer between you and your partner. On the top, the lightweight ForeverFlex cover presents best-in-class stretch properties and a sleek, contemporary look that you are sure to love. Around the perimeter, the SolidEdge HD System provides full foam encasement, allowing you to utilize the entire sleep surface and sit securely on the edge of your bed. Foundation not included. 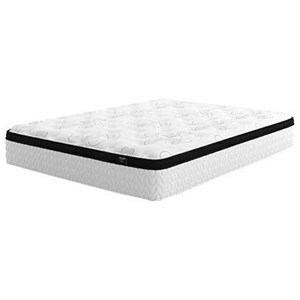 The Posturepedic Hybrid Majesty H7 Twin Extra Long Ultra Plush Tight Top Mattress by Sealy at Pedigo Furniture in the Livingston, Onalaska, Trinity, Coldspring, Corrigan, Huntsville, TX area. Product availability may vary. Contact us for the most current availability on this product. Top Lightweight ForeverFlex fabric features beautiful contemporary styling and best-in-class stretch properties. The result is a more enveloped, body-hugging feel that is second to none. Coils and Support Titanium alloy Apex HS Coils provide the balanced, just-right support Sealy Posturepedic is famous for. Each coil is individually encased to minimize motion transfer, so when you move, your partner doesn't have to. 825 coil density. Edge Support SolidEdge HD System is designed to provide a solid seating edge so you can use the full surface of the bed without rolling off the side of the bed. With an improved design to enhance side-to-side stability, it increases usable sleeping space. Now you can stretch to the edge for longer, uninterrupted sleep. The Posturepedic Hybrid Majesty H7 collection is a great option if you are looking for Mattresses in the Livingston, Onalaska, Trinity, Coldspring, Corrigan, Huntsville, TX area. Browse other items in the Posturepedic Hybrid Majesty H7 collection from Pedigo Furniture in the Livingston, Onalaska, Trinity, Coldspring, Corrigan, Huntsville, TX area.